Given the rate of pollution in the environment today, drinking water can no longer be considered as purely safe for drinking. In fact, in some places, people no longer drink water straight from the tap. Instead, people spend a lot of money buying bottled and purified water just to make sure they don’t get sick from the water they drink. Others even install water filtration systems in their homes just to get access to water that’s clean and free from contaminants. Water treatment systems range from simple to complex; it can be a simple faucet-mounted filter for water purification or something as complex as reverse osmosis water treatment. Before proper plumbing was established, people drank water straight from streams, lakes and rivers. There was no reason to treat water in the past but times have changed greatly since then. Nowadays, drinking water from these sources may give you certain illnesses. The main purpose of water treatment systems is to make sure that drinking water is safe for everybody. This means removing impurities such as bacteria, chemicals, and toxins. It also includes eliminating odors in raw water. The Clean Water Act of 1972 led the way to ensuring that water is kept safe and potable for every household in the United States. That also included cleaning and decontaminating streams, rivers, and lakes from industrial wastes. Ultraviolet Water Treatment—With this system, water passes through a low-pressure lamp with germicidal ultraviolet light. The biological contaminants present in the water get damaged and killed in the process. Ozone Water Treatment—This method uses an ozonation system, generating ozone gas that is dissolved in raw water. This reduces odor in the water, and it also dissolves concentrated chemicals like sulfur, iron and manganese. Membrane Water Treatment—It’s an innovative water treatment system that can either be electric driven or pressure driven. Water will pass through a semi-permeable membrane to remove water impurities. Reverse Osmosis Water Treatment—This is an effective method of water treatment whereby water is forced to pass through a tightly packed membrane filter. This prevents the passing of impurities and removes pesticides, microbes, chemical toxins and organic contaminants. Should You Invest in a Water Treatment System? The decision to invest in a water treatment system ultimately depends on your finances. If you can afford it, then you should invest in one. Because it can be costly, most families do not invest in water treatment systems but if the water in your locality is not considered safe for drinking anymore, then having a water treatment system is of utmost importance. 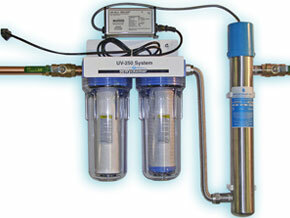 The ozone water treatment system started to become very popular several years ago. People simply purchase an ozonizing machine and treat the water coming out of their faucets. You could also opt for an activated carbon filter for your faucet or a water pitcher with carbon filter. But of course, if you have the budget, it may be wise to invest in a more advanced water treatment system, such as the reverse osmosis system.